Natural Agate offers exclusive designs in pendulums so that you can use them not just for their attributes but also as decorative items. 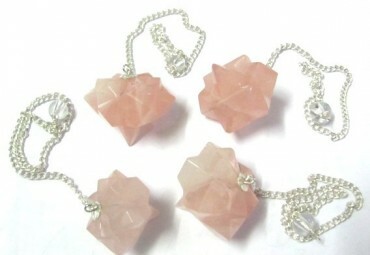 Rose Quartz Lotus Pendulum is different and unique. The pendulum is 20-50mm long.